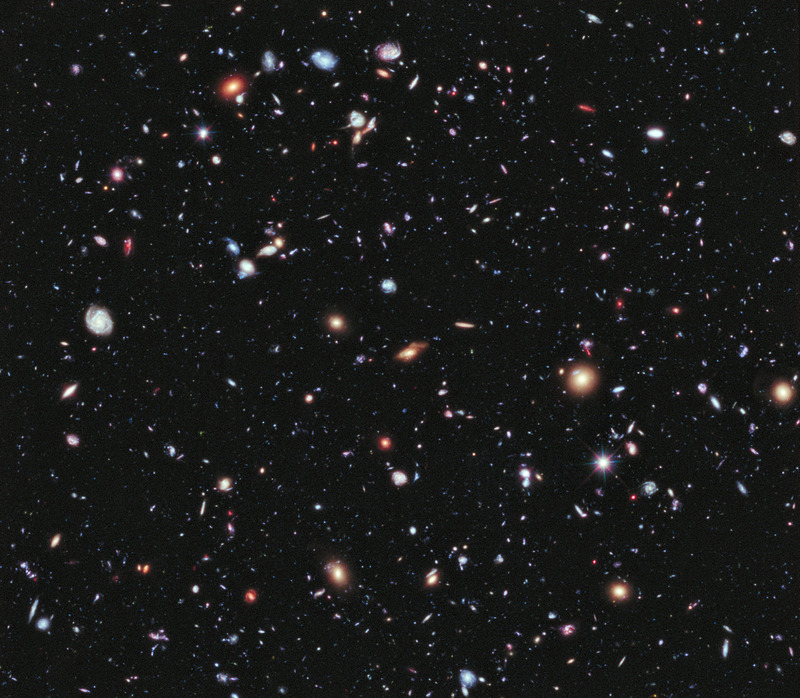 The argument is this: The universe is extremely large—tens of billions of light-years across. The Bible tells us that God made the universe a mere 6000 years ago. How does the light from distant galaxies reach earth then? Surely that size of the universe demands an enormous timescale? But couldn’t God just have created the light in transit. No, that would be deceptive. It would mean a stream of light carrying false information for billions of years to come. But surely even you must admit that the simplest and even most logical explanation (if you don’t first presuppose that the biblical account in Genesis is correct) is that the light, from galaxies millions of light-years away, did indeed travel for millions of years to get here? My response: This question assumes the context of what modern science calls the Einstein Simultaneity Convention (ESC). Even though not stated, it presupposes it is the convention we should use when we consider the cosmos. But that is not so clear. This means we define a certain convention how we measure off time. But since space and time are not absolutes in the universe and depend on the observer, and secondly, we are free to choose any simultaneity convention, then what may seem “obvious” now may not be the correct choice. To clarify this, Einstein, in deriving his theory of special relativity, developed 3 equations with 4 unknowns, and as you may know, you cannot solve that system. Thus he chose the value for one parameter which determines how we define simultaneity (or clock synchrony). The convention is now almost universally used today, but nature itself does not have any preferred convention, otherwise it would not be a convention. Under that convention it means essentially that the one-way speed of light is equal to the measured value (c) for the two-way speed of light. But one cannot measure the one-way speed of light, therefore the universe, nature, physics, has no preferred value for it. It is therefore chosen by convention. Now what I am talking about is what you might now implicitly assume to be true, but in fact you cannot measure, therefore cannot prove. That is, if a distant source sent you a light signal, could you measure its incoming speed? Without knowledge of the synchronization of your local clock with the distant source clock you cannot. Then to synchronize your clock to the distant clock you would have to send back a light signal, and hence you now have what is called the two-way speed of light. The problem arises because space and time are intrinsically connected and time is not an absolute. It depends on the observer’s motion and position in space. You could try what is called “slow clock transport” to slowly move your local clock to the same location as the distant clock and check on their synchronization, but that does not help, because of the relativistic effect of moving your clock relative to the distant source clock. Think about this. When we see the sun do we ‘see it’ when the light enters our eyes? Quite obviously, yes we do. Under the ESC light left the Sun 8.3 minutes prior to entering our eyes. This allows for transit time at the two-way speed of light c = 299,792.458 km/s, and it is chosen so that the one-way speed equals this. Alternatively we could have chosen a different convention, the Asynchronous Simultaneity Convention (ASC) where the incoming speed of light, the one-way speed, is infinite. Since this is not a measurable quantity in the Universe, and is related to the convention we use, we are free to choose. You can look this stuff up, but nothing I am saying here is outside of standard relativity theory. In such a case as this we also see the sun the moment the light enters our eyes, but this time the transit time is not 8.3 minutes, but zero. It arrives instantaneously. This timing convention (ASC) is probably the one most people automatically assume when they see events occur in their normal life. They don’t normally allow for the transit time of light at the speed c and deduct that amount of time to correct for when it ‘really’ happened. This is because in our experience the value of c for the two-way speed of light is so large. One might argue, for example, that all people prior to the last 300 years used the ASC, not the ESC, because the two-way speed of light had not yet been well measured. The first real measurement was by Römer in 1676. But that only discusses the two-way speed of light. It may not be obvious, but Römer had to use a local clock (a water clock) and somehow synchronize it to the distant clock, which he could only do by observation using a light beam. 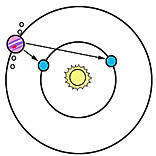 He used the orbital period of Jupiter’s moons. All of the above is to say one thing: what might appear obvious is not necessarily so. Hence the need to develop models to explain what we do see. There is always something missing from our knowledge, especially when we are referring to the past, ie. when it involves the travel time of light from a distant source. Furthermore to the ASC, if I said I see the universe as it is ‘now’ as the light enters my eyes, and that it has always been that way going back 6000 years to the creation by God, it is very simple. There is no light travel time, because I assume the author of the Bible used the ASC, and so events were time-stamped when they occurred (i.e. could have been observed). Even though there was no human observer in those first 5 days of Creation week, the events are demarcated by when they could have been seen by an Earth observer. This might imply the one-way speed of light is infinite towards the observer, and no time dilation model is then needed. I have also developed my own ESC fully-covariant-general-relativistic theory of the universe, which can describe the observations in the universe, without dark matter and dark energy. It has a time-line consistent with the biblical one. It solves the apparent light travel time problem. No laws of known physics are violated, and the assumptions are far less than those in the standard ΛCDM inflation-cold-dark-matter big bang model, that is currently being considered to be discarded for its absolute failure. My model uses relativistic time-dilation where clocks in the universe ‘tick’ much faster than clocks on Earth during Day 4 of Creation Week when God created the stars and galaxies. Billions of years of time passed in the cosmos while only 24 hours passed on Earth. This is consistent with the 6-day Genesis Creation account about 6000 years ago. ← Why don’t scientists believe in God?